Rediscovering itself after centuries of conflict, the Balkan Peninsula is fast becoming the newest destination on everyone's lips. With its fascinating mix of Ottoman glory and Communist history, the area once known as Yugoslavia offers a seemingly never-ending list of undiscovered jewels. Don't miss your chance to get there before the crowds find out. 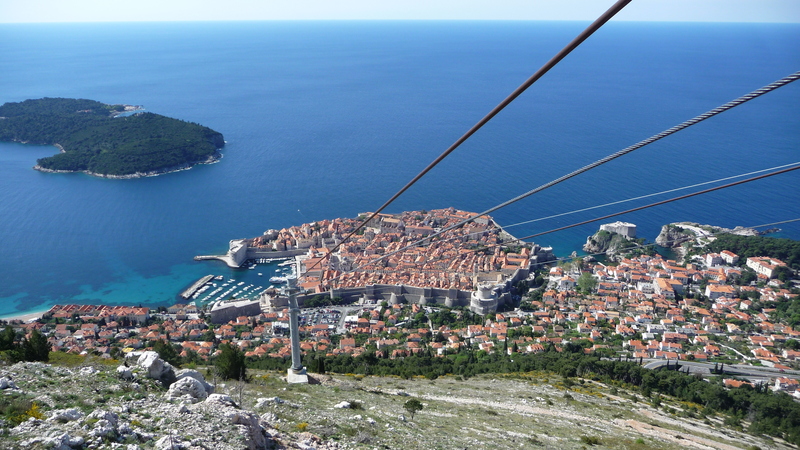 Croatia may seem an obvious place to start, but it's here that the tourism bug has undeniably struck, making it one of Europe's most fashionable places to visit - with the coastal city of Dubrovnik shining out above the rest like a beacon of glamour. After an earthquake in 1667 partially destroyed the city, its subsequent rebuilding gives Dubrovnik a heady mix of Baroque glamour and medieval charm. To describe Kotor as 'the new Dubrovnik' is to entirely undersell its beauty. The most precious jewel in Montenegro's crown, Kotor Bay is the deepest natural fjord in the Mediterranean Sea, its surrounding scenery nothing short of spectacular. Towering mountains appear to rise right from the azure blue sea, enclosing this little medieval city off from the world and giving it its undeniable glamour. Described as everything from Europe's 'quirkiest city' to its 'best kept secret', it's safe to say that Tirana is a spot that's busy building a reputation for itself as the next big thing. Colourful buildings, lively squares, largely pedestrianised streets; Tirana is developing at breakneck speed, positioning itself as one of the coolest capitals of culture. With Macedonia name checked in Lonely Planet's top ten places to visit in 2014, there's been no better time than now to make your trip there. When you do, be sure to head straight to the UNESCO World Heritage town of Ohrid, built around the shores of the 300 million year old lake of the same name. Established in 2008 and still the world's newest country, Kosovo understandably gets a bad rep from the outside world - but don't let its past ruin its future. A popular university city for students from all over the Balkans, Pristina boasts a young and vibrant edge, as well as a sense of optimism and hope. At the spot where the Sava River winds its way into the Danube lays Belgrade, known as the unofficial capital of the Balkans with its non-stop energy, ever-evolving population and crazy nightlife. Dreamers and flâneurs will love the arty Skadarlija district, with its laidback street cafes and the bohemian Skadarska Street, whilst history buffs should take a trip to Kalemegdan castle, the crown of the city and its surrounding park. Have you been to any of the Balkans? Tell us your favourite spot!